Kabuki and Kyogen and Rakugo, Oh My! 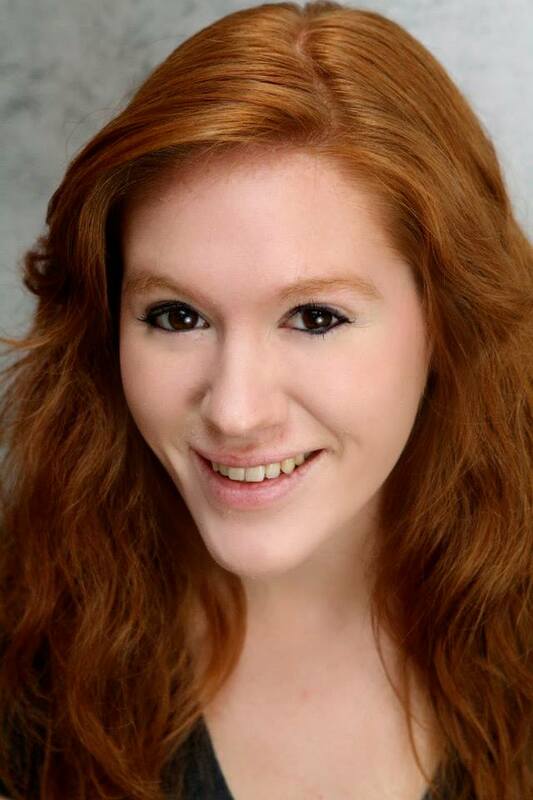 Leah Shaeffer is Gulfshore Playhouse’s Director of Education. Any theatre artist will tell you that the longer they work in the arts, the more random skill sets and experiences they acquire. Theatre, particularly, is so flexible and unique that artists who work in the field will inevitably gain some bizarre, off-the-wall areas of expertise. And that, to make a long story short, is how I ended up teaching three different forms of traditional Japanese theatre arts to an entire elementary school. Gulfshore Playhouse’s ThinkTheatre program, generously funded for the 2014-2015 academic year by the Suncoast Federal Credit Union, is an in-school residency program that customizes its programming very specifically to each and every school it reaches. So when we were approached by an arts-focused Title I school in Lee County about doing a Japanese theatre unit, we said “Sure!” and got to work. 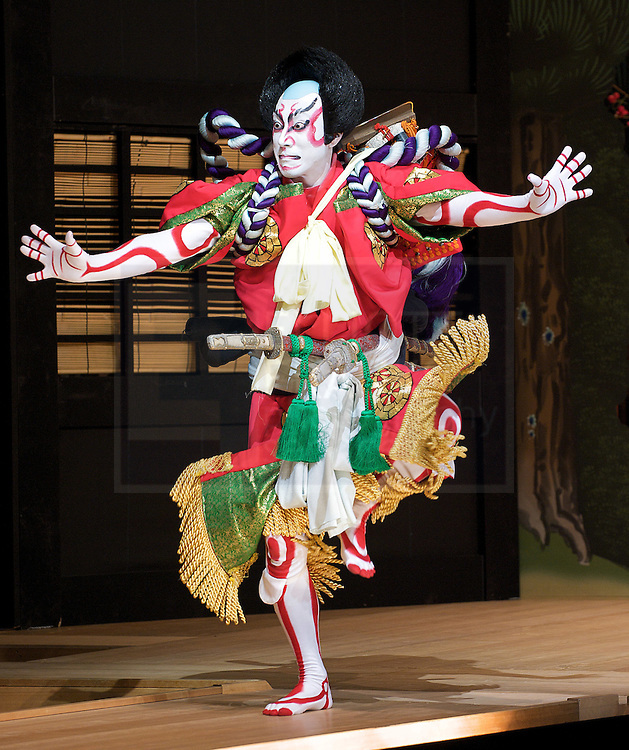 A traditional Kabuki theatre performer. The students in kindergarten through fifth grade who attend this particular school are lucky enough to attend a school where the arts are a valued part of education. The school has been implementing an initiative in which all of the arts areas—dance, music, visual art, and drama—focus on the same part of the world for a few weeks. A fantastic idea to broaden students’ horizons, but no small feat on the part of the educators, as you might imagine! ThinkTheatre’s goal for this particular residency was to come up with a week’s worth of Japanese-focused curriculum that met Florida standards for theatre as well as other curricular areas, such as Language Arts, World Languages, and Social Studies. For the youngest students, we spent the week learning about rakugo, a form of storytelling in which a seated storyteller uses a fan (or sensu) and an impeccable sense of comedic timing to tell stories and enrapture an audience. The children made their own sensu, and then used it to tell a Japanese folktale in the style of rakugo. Everything from fine motor skills to academic benchmarks to personal growth was tackled, as students took ownership of creating, learning, and engaging with others. Our slightly older students tackled the art of kyogen, a traditional style of comic theatre. Children used their bodies and voices to perform in the exaggerated style of kyogen, learning about elements such as slapstick, satire, and pantomime. Giggles were plentiful as students performed an adaptation of a Japanese folktale in the kyogen style, building up confidence and social skills as they explored this new way to interact with the arts and express themselves in a positive way. The oldest students dove headfirst into the world of kabuki theatre. Debatably the best-known form of traditional Japanese theatre, the students had a blast learning how to perform this type of dance-drama! From the prim and proper onnagata to the rough and tough aragoto, the students learned how to physically and vocally take on kabuki roles in order to perform the classic tale “Shiranami Gonin Otoko”, or “Five Men of the White Waves”. At the end of the week, I was saddened to leave my new little friends behind. It can be difficult to leave our temporary ThinkTheatre residencies, but it is wonderful to know that Gulfshore Playhouse has made such a cultural, personal, educational, and artistic impact on so many young hearts and minds!